Thank-you to all who have signed the petition. It has now been submitted to the HRM for review. 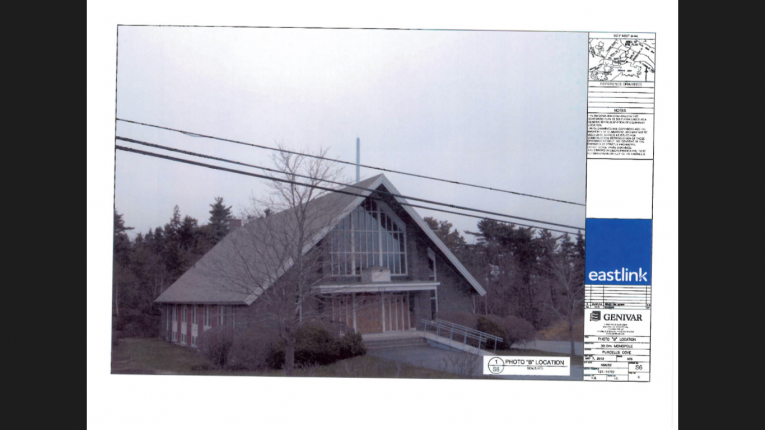 There has been a proposal for a 100 ft cell phone tower at 290 Purcell's Cove Road, the St. Augustine Anglican church, in Halifax, NS. This location is surrounded on all sides by houses and is zoned as a residential area. It is popular destination for biking and hiking in the summers, and William's Lake is nearby. The proposed tower would stand high above the tree line and be easily visible from the road. The health risks being so close to residents is unknown, and there are many children in the area. It is certain that erection of the tower will lead to a loss in property values of nearby land and homes. There are industrial areas nearby that could be used instead, and existing towers from other companies that could be rented. Halifax Regional Municipality will be voting on this in early 2014. Please, help us put a stop to this proposal. The link to the proposal can be found at http://www.halifax.ca/planning/Case18762Details.html (Case 18762: Application by Eastlink to construct a 30 metre telecommunication monopole structure with equipment shelter at 290 Purcell's Cove Road, Halifax). Please note that you can ask for your signature to be kept private. It will not appear on the website and only in the final document to the HRM. MOST IMPORTANTLY, PLEASE SEND A LETTER TO HRM via Jillian MacLellan, Planner (maclelj@halifax.ca) copying the Clerk’s Office (clerks@halifax.ca), EXPRESSING YOUR CONCERNS. A RESPECTFUL LETTER TO THE ANGLICAN CHURCH CAN ALSO BE SENT TO 290 PURCELL'S COVE ROAD. We, the undersigned, call on the HRM and Industry Canada to reject the proposal by Eastllink to erect a telecommunication tower at 290 Purcell's Cove Road. * Signatures from Nova Scotia only please. The Oppose the Eastlink telecommunication tower at 290 Purcell's Cove Road petition to Halifax Regional Municipality was written by Concerned Citizen and is in the category City & Town Planning at GoPetition.